The start of a new year is the traditional time for health and wellness resolutions — but it’s also the time of year you most want to stay under the covers until spring! There are plenty of great reasons to fight the urge to hibernate and beat your winter blues this season, and Denver, CO’s Mile High Fitness will be there to help every step of the way. Get Active, Get Endorphins: Working up a sweat floods your body with energizing endorphins, the body’s feel-good chemicals. 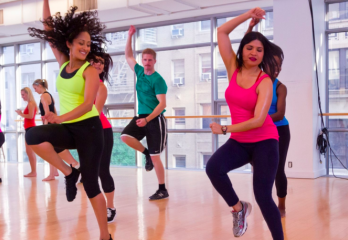 Leave the blues far behind with Zumba fitness classes with Mile High Fitness — they’re the ultimate way to get fit while having fun, and at $7 per class, they’re easy on your wallet too. Work Out Without Going Anywhere: Maybe half the battle for you is getting out of the house and into the gym — but now you don’t have to! With the Mile High Fitness model, you can work out at home or at the office! The workout comes to wherever you are, making your exercise goals easier and more efficient. Seek One-on-One Support: A personal trainer is an invaluable resource to keep you motivated, focused and accountable on your health and wellness journey. Whether you meet your Mile High personal trainer at your office for a lunch hour session or arrange to work out at home, you’ll be making positive strides toward your fitness goals. Mile High Fitness is Denver’s perfect solution for fitting fitness into any busy schedule. To learn more about group classes, personal training, and more, call (720) 436-3899 or visit their website.